Experience the nicest beaches, parks, golf courses, and other enjoyable venues as you take advantage of the many things to do outdoors on Long Island. Fun New York is your go-to source for Long Island outdoor activities that will appeal to outdoor adventurers of all ages. See our complete list of outdoor activities on Long Island, as you plan your visit to the great city. 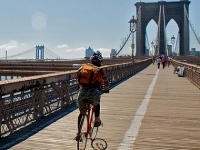 Find detailed information about all the different Long Island bike trails, as you explore our guide to biking long island. Make the most of your visit to the city by experiencing the nicest bike trails Long Island has to offer. Make the most of your visit to the Long Island area by taking advantage of the finest in long island boating. Find marinas, rivers, and other places to go boating on Long Island. If you're planning to go boating in Long island, search Fun New York's go-to guide to boating in Long island. Find a variety of locations and businesses that offer horseback riding Long Island. 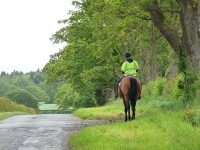 Search for the finest horseback riding trails on long island. Enjoy horseback riding on long Island at some of the most amazing outdoor venues in the region. See a list of fun leisure activities on Long Island. 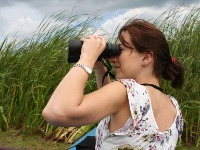 Relax with an afternoon of bird watching or golf. 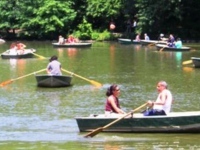 Find the many local outdoor leisure activities Long Island can offer. Enjoy the finest paintball Long Island has to offer at several indoor and outdoor venues throughout the area. Find all types of paintball places on long island. 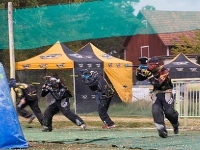 Search for Long island paintball arenas that are catered towards kids and adults.